Thursday on SuperPhillip Central delivers to you a brand-new review. 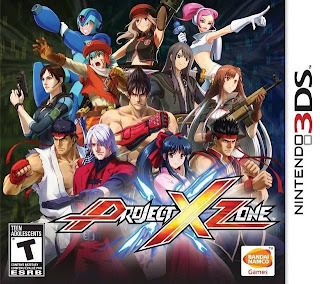 Project X Zone was a game we really wanted to see localized, and now that we have it available to us.... well, be careful what you wish for. Not to say Project X Zone is horrible. It's just that we were expecting so much more. Here's Phil's review. stay for the... Wait. Don't stay. If you remember my Tatsunoko VS. Capcom: Ultimate All-Stars review, I mentioned that many, including myself, believed that the localization of such a game could never be done, but Capcom surprised the world by releasing it in the West on the Wii. 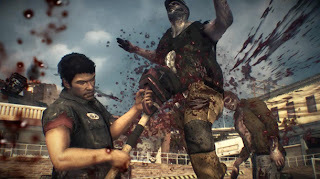 Now, Namco Bandai has released another game that many, including myself, believed never had a chance to hit our side of the Pacific due to all of the licensing and character issues involved. However, that game, Project X Zone (pronounced Project Cross Zone), has arrived, featuring characters from three of the biggest video game publishers in Japan. 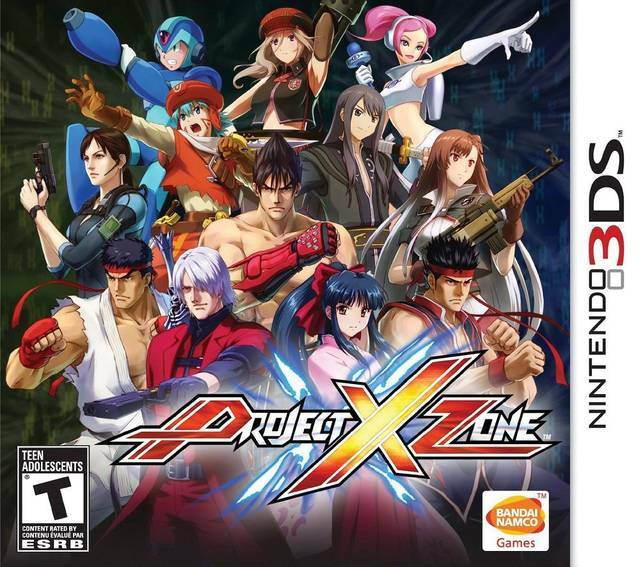 Unfortunately, unlike Tatsunoko VS. Capcom, Project X Zone was not well worth the wait. Project X Zone's plot revolves around characters from a myriad of worlds being transported to and fro with the desire of each character to return to their home world. Things get dicey when a villainous group wishes to cause nothing but trouble. It's a simple story... being you know many of the characters involved. Otherwise you might be left in the dark, as Project X Zone does little to shed some light on what's really going on. 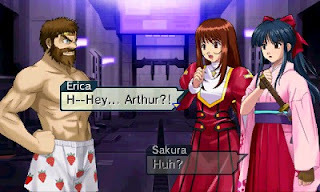 Still, if you think you can enjoy the various character reactions to one another and the sometimes funny dialogue, then you may actually like the story that Project X Zone has to offer. probably not know too many faces here. 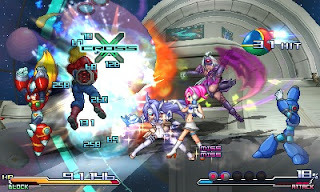 Project X Zone is a strategy RPG consisting of friendly units in the form of character duos. For instance, Mega Man X and Zero join forces, Ryu and Ken of Street Fighter fame are partners, Jin Kazama and Ling Xiaoyu from Tekken are a team, and so forth. 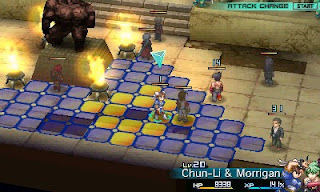 Maps in Project X Zone take place on grid-based stages based off the numerous locations of many of the crossover titles featured within the game.. Every unit on your side of the game is made up of two characters with a third unit being optional, able to be called in once every confrontation. The map sizes range from big to too big. When moving near an enemy unit, you can enter battle. 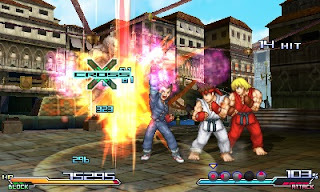 Known as the Cross Action Battle System, the battle system in Project X Zone utilizes the A button in conjunction with up to five different directions on the Circle Pad. While this might seem like plenty of options, if you want to gain the most amount of attacks in a given battle you need to use each different direction once to earn an extra attack. This means there's little strategy involved in choosing which attacks you wish to use, and seeing as how you have to watch these battle animations each time (they're in real time, after all, since you're directly controlling them), things can also get rather dull quickly. "I'm an upper-cut above the rest." If a friendly unit is to an adjacent square on the grid, you can summon them during a battle to serve as a support attack, dealing extra damage to your target. While your characters are dishing out damage to a given target, your Cross Power gauge increases. This gauge can grow up to 150% in length, and be used to unleash a powerful dual attack on a foe, be used to access character skills, or be used to counter or defend a foe's attack. Project X Zone's chapters, all 40+ of them, are more like marathons than sprints. Chapters take an absurdly long time to complete, and while you can save during each mission, tedium sets in rather quickly when you're utilizing the same commands in battle and using little actual strategy in a strategy RPG. You can pretty much force your way through most chapters without much in the way of a challenge. Furthermore, bosses are merely the SRPG equivalent of bullet sponges, possessing ungodly amounts of hit points. X and Zero, don't show up in PXZ until midway. And that is a common theme with Project X Zone. 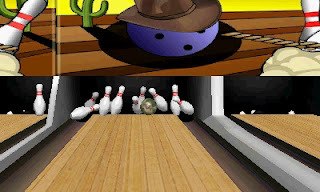 It's a game that wears you down while not providing a lot of fun. Yes, it's cool to have characters that you are and aren't familiar with from gaming's past join your party of interworld fighters, but that just means more characters, meaning turns go on even longer. Then there's the fact that after the initial ten or twenty enemies on a given chapter's map have been defeated, twenty more show up. Is this really necessary? It just prolongs the already repetitive battles and makes that negative of the game shine even brighter than before. While there isn't much to be amazed at sprite-wise on the various maps of Project X Zone, battles are just insanely fun to watch. The sprites have a seemingly endless amount of animation frames to them, their attacks are entertaining and cool to see, and by far the most impressive visual showing is the special attacks. The sprite-based animation of Project X Zone is simply sensational. The voice work uses the original Japanese voice actors, as obviously there would be too many legal hoops to jump through otherwise for a release in the West. 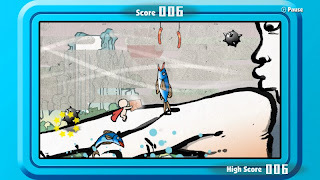 The music is a combination of original and remixed tunes to get you energized for the game's chaotic confrontations. Overall, Project X Zone is a strategy RPG with little actual strategy involved. Chapters are way too lengthy, certainly going on for a duration that will put many players into a deep sleep due to all of the repetition involved. 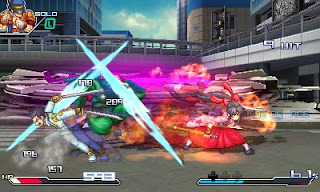 The chance to see a cast of characters from Namco Bandai, Capcom, and SEGA interact with one another is great, but a potential buyer of Project X Zone will have to think long and hard about whether the tedium of the game is worth the experience. Project X Zone isn't a bad game, per se, it's just not as fantastic as I would have hoped. Those who have long put away Fire Emblem: Awakening and are looking for another brilliant strategic RPG to play should keep looking. We all have them-- games that we absolutely enjoyed, yet either a vocal minority or a great many people just didn't care for, or even hated. That's the subject of today's article on SuperPhillip Central. Here we look back at nine games from gaming past that we enjoyed playing but a fair number of folks disliked. 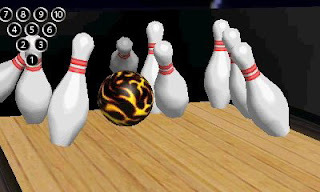 These are the types of games that may have gotten thrown through the proverbial ringer by critics and reviewers, lambasted by gamers, and/or had consumers turn their collective noses up to. Hopefully we won't be the only ones liking these titles. By far a disappointment when you compare it to its near perfect Nintendo 64 predecessor, Perfect Dark Zero took a lot of liberties with the franchise, introducing an Americanized Joanna Dark, an origin story full of hammy characters and events that completely pushed the retcon button on the entire lore of the franchise. That said, we prefer the type of structure of Perfect Dark that Zero had, one where you had objectives to follow that could be completed in any order. This is a great contrast to the wealth of corridor shooters like Call of Duty that are so popular these days. 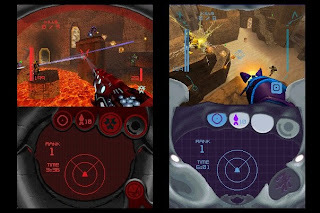 The multiplayer of PDZ was fantastic as well, allowing a large room of people to slay one another across large scale maps with inventive weapons and vehicles. Perfect Dark Zero still stands as one of SPC's favorite Xbox 360 multiplayer games. After all, all of the racist bigoted kids have moved onto Call of Duty! 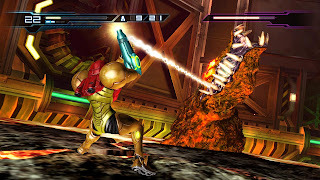 Despite the more linear structure of the game, Samus Aran coming off as fragile instead of strong, and being forced to acquire upgrades when Adam said so, we actually enjoyed Metroid: Other M more than most. While the story (full of unskippable cutscenes-- one of our biggest no-nos) was not really that entertaining or engrossing, the enhanced combat capabilities of Ms. Aran were. 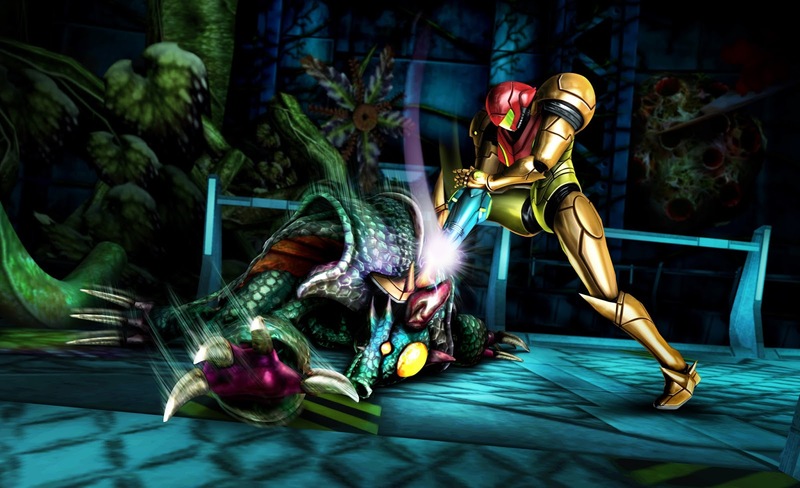 By the end of the game, Samus was a walking weapon, armed to the teeth with incredible abilities and power. You also had much more freedom at the end of the game to revisit past areas to pick up those last missile expansions and energy tanks. It's by no means our favorite Metroid game-- no, not even close-- but it's not the sacrilege to the series that so many claim. Often called the weakest of the Resistance trilogy on PlayStation 3, Resistance 2 is actually our favorite of the four Resistance games. That sounds really weird, doesn't it? Perhaps it's because it was our first taste of the dystopia the Chimera race had created. Perhaps it was the single-player campaign that impressed us. No, it must have definitely been the absolutely awesome multiplayer, allowing dozens upon dozens of participants in a given match at a given time. Then there was the co-op mode, which could be played offline or on, giving a squadron of anonymous souls the chance to take down Chimera both large and small. 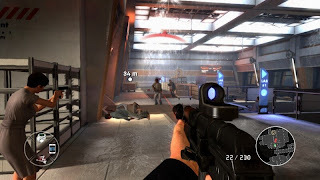 To this day the cooperative experience in Resistance 2 has not been passed on the PlayStation 3 by any developer. That's a strong statement, but we absolutely stand behind it. 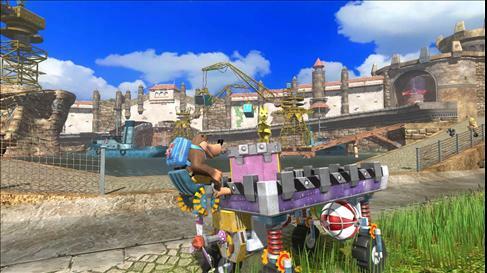 United Front Games had developed a similar kart racing title for Sony in the form of ModNation Racers. 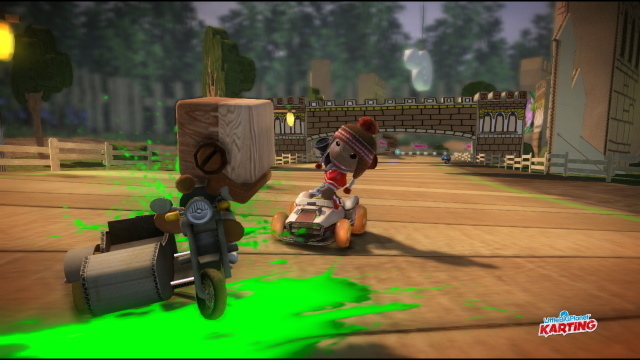 That's another game we liked, but considering all of the customization, whether it be tracks, karts or characters, many wondered why it simply wasn't a spin-off of the LittleBigPlanet series. 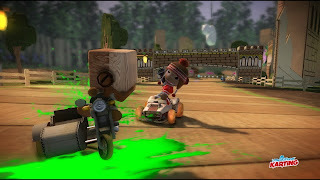 Apparently, Sony and United Front Games got the note and developed LittleBigPlanet Karting, offering the most creation opportunities available in a kart racer on consoles. 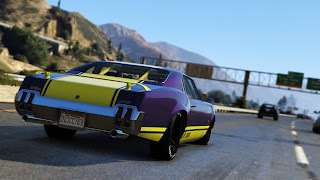 Many didn't care for the actual racing involved in the game (rubber-band AI was a problem), but we loved it enough to play through and create track after track. We might not have been the Dale Earnhardt Jr. of LittleBigPlanet Karting, but we still had fun. When the original teaser trailer showing off a brand-new look for Banjo and Kazooie, we were really excited. The trailer had Jiggies, musical notes and verdant green hills. We, like everyone else, were expecting Banjo-Threeie, a pure 3D platformer for the Xbox 360, something the system pretty much lacked. What we got was a vehicle-based game with little actual platforming. Many were heartbroken with this news. We sure as Jinjo were. Then we actually played the game, and while it didn't scratch our itch for a brand-new 3D platformer from Rare, we received a well put together game where customizing vehicles to suit the given challenge was the order of the day. 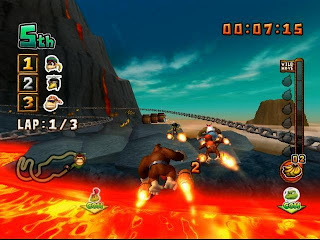 Exploring Showdown Town harked back memories of Banjo's platforming past, while the expansive levels allowed us to boast our great creativity in completing each challenge through skill in controlling and creating each vehicle. We came away from Banjo-Kazooie: Nuts & Bolts with smiles on our faces, not really minding the change of genre the bear and bird had. A game that a vocal minority (or is it moronity?) claimed was Nintendo turning their backs on their fans, Wii Music was a title that didn't follow the Guitar Heroes and Rock Bands of the industry. No, it set its own path by having little in the way of goals, offering players multiple instruments to wail on, a collection of songs to play alongside, and the ability to play notes whenever they felt like it. 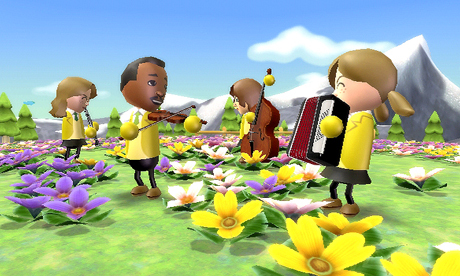 Wii Music was more of a tool for expressing oneself rather than a video game with objectives and goals. We enjoyed it, and we definitely weren't in the camp thinking that Nintendo had betrayed us (you need to be really emotionally invested in games to think that), especially when they released the game of the generation, Super Mario Galaxy 2, two years later. 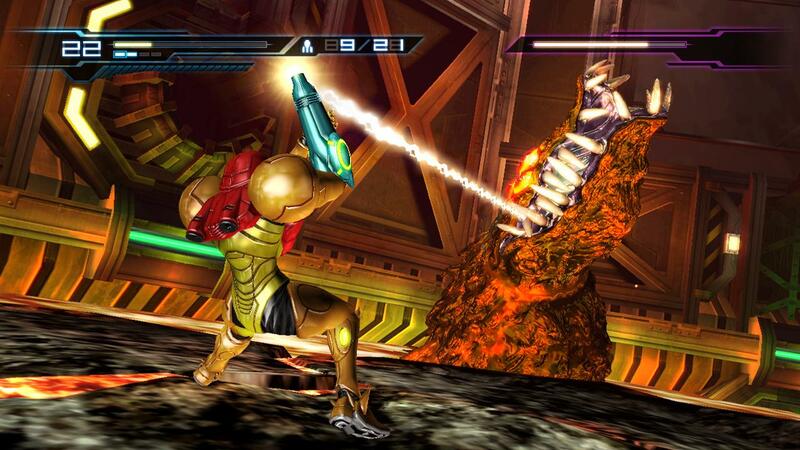 Nintendo tasked NST, an underrated developer for the big N, with porting the Metroid Prime first-person adventure experience to the Nintendo DS. Thus, Metroid Prime Hunters came to be, though it had a much more shooter-centric approach to it than past Metroid games. The solo experience was okay, but it recycled the bosses too many times. Still, it gave us some entertainment. What gave us even more entertainment was the multiplayer mode, the main selling point of the game. It could be played offline (with bots, no less. Awesome!) or online for up to four hunters. The arenas were taken from the single player campaign, and offered plenty of hiding spots, vantage points and pathways for some intergalactic bounty hunter hunting goodness. The controls tripped some reviewers and gamers up, but we flew to it like a bee to honey. 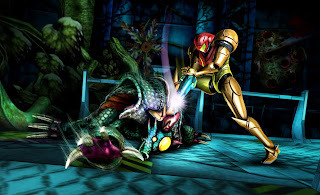 We'd love to see another multiplayer-centric approach to the Metroid series, but we understand that this would ruffle the feathers of many fans. We could always use a new IP in that case. 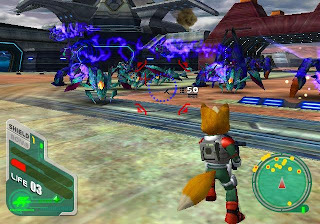 After the absolutely stunning Star Fox 64, Shigeru Miyamoto asked of Rare to transplant Fox McCloud and the characters of the Star Fox universe into their project, Dinosaur Planet. The end result was Star Fox Adventures, a game that has criticism ranging from great to awful. Showcasing Nintendo's flippant attitude towards the Star Fox franchise again, Nintendo allowed Namco to create a GameCube entry of the series. This would become Star Fox: Assault. It was a much more linear affair than the multi-path structure of Star Fox 64. 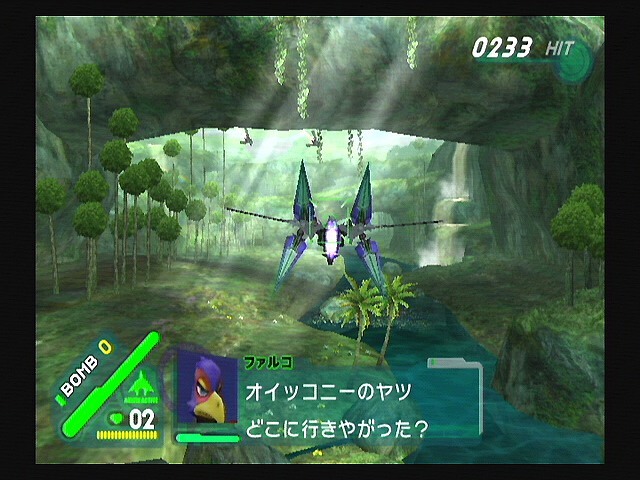 The game also had on-foot ground missions, which many disliked. However, we had no problem pulling off large combos, and loved switching between the Landmaster tank and the Arwing on the fly. Then there was the incredible multiplayer, which offered so many good times with friends. It's not better than Star Fox 64, and it doesn't come close. However, Star Fox: Assault is a fun and different kind of experience featuring Fox and friends. 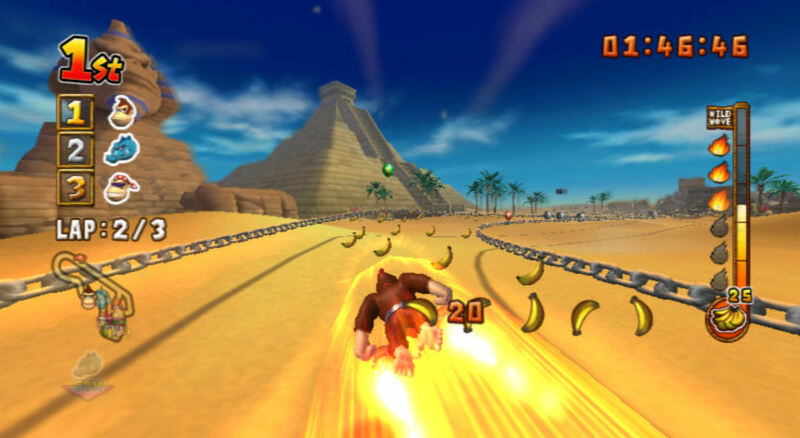 Originally planned for the Nintendo GameCube and to use the bongo controller peripheral, Donkey Kong: Barrel Blast was a racer that featured a cast of Kongs and Kremlings alike. By shaking the Wii Remote and nunchuk, you moved left and right several feet above a track, collecting bananas, taking shortcuts, and dodging obstacles that would slow you down. Donkey Kong: Barrel Blast was an inventive racer that wasn't the most masterful game on the planet, but it gave us plenty of enjoyable racing Kong-frontations with our friends and family. It was easy to pick up, but it was hard to master. No doubt the excessive shaking turned off a lot of people. No worries, our gym memberships have been put to good use! Our arms were strong enough to take the punishment! What games do you like that you believe a lot of folks scorn or dislike? Let the SPC community know in the comments section below. Time for another Better Late Than Never review, a review of a game too recent to be a retro review and too old to be a regular review! Our favorite world-renowned spy celebrated a milestone of an anniversary last year. We're a bit late to the party, but it's better than not showing up at all. Well... after playing through 007 Legends, the game to coincide with Bond's fiftieth, perhaps it was best to not show up at all. Here's SuperPhillip Central's review. Call of "007, Reporting for Duty." The James Bond film franchise might have celebrated its fiftieth anniversary last year, but old 007 is looking smoother, sharper, sexier and better than ever. Too bad the same can't be said anymore about his licensed games. 007: Quantum of Solace and even Blood Stone were admirable attempts of Activision's studios bringing Bond to current generation systems. 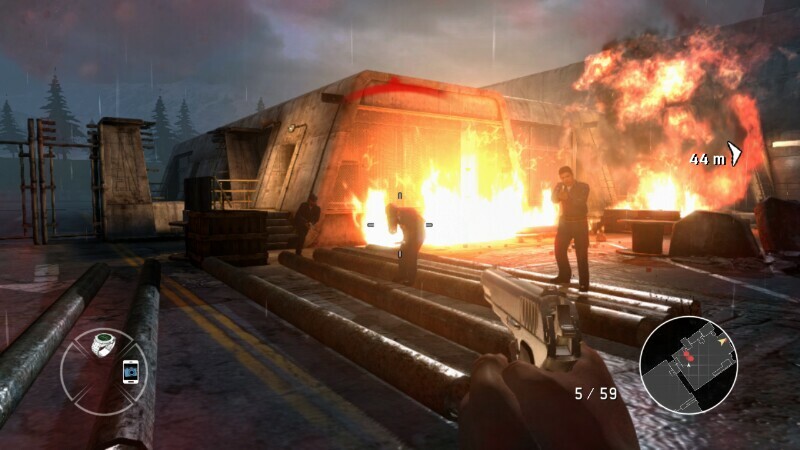 The Wii's GoldenEye 007 is not just a great shooter for the system, but it is a great shooter in general. The same team behind that game, Eurocom, created a special game featuring everyone's favorite smooth-talking spy for Bond's fiftieth anniversary, 007 Legends. Let's just say the world is not enough to ask me to go back to this game after playing it through once. 007 Legends takes Daniel Craig's version of James Bond, though noticeably without his actual voice, through missions based on one of each past Bond actors' films: Sean Connery's Goldfinger, George Lazenby's On Her Majesty's Secret Service, Timothy Dalton's Licence to Kill, Pierce Brosnan's Die Another Day, and Roger Moore's Moonraker, in that order. 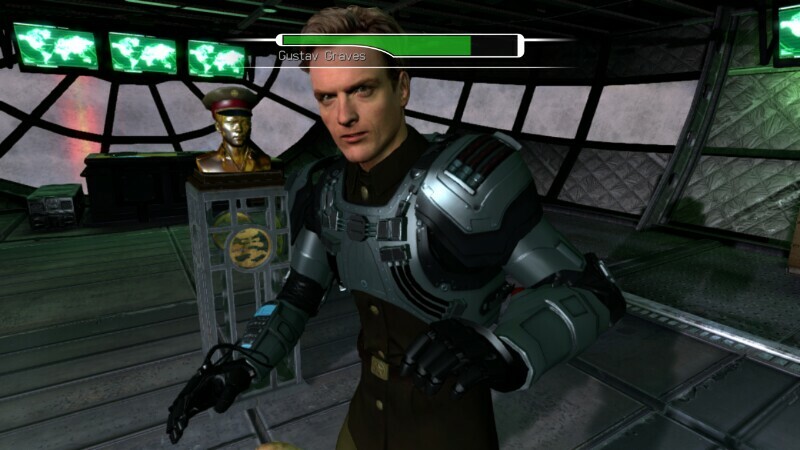 To say that Eurocom took great liberties with how each film's plot is portrayed to fit video game form is an understatement. Someone can correct me, but I don't think James Bond ever went toe-to-toe with a U.S. Army tank at Fort Knox in Goldfinger. Another issue is that there is no cohesion between the different movies. 007 Legends starts with James Bond battling a target on top of a speeding train. Bond's partner mistakenly snipes him in the chest, having him fall off the train and far down into the watery abyss below, as seen in the opening gambit of the movie Skyfall. 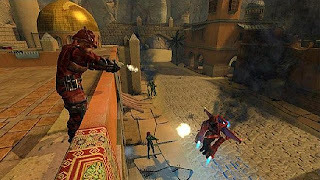 The missions played out in 007 Legends are merely memories that Bond has while submerged underwater, and they have no logical adherence to one another. For Goldfinger, for instance, you are thrust in a scene with a dead woman, covered in gold body paint. If you haven't seen the original movie, you probably don't have any clue as to what is going on. This is an issue throughout the entire game, being placed into scenes without context. It just feels like a fragmented, poorly put together way of putting players into each film. and less like James Bond? 007 Legends feels less like a James Bond game and more like a Call of Duty clone. The majority of the time you're tasked with moving and mowing through corridors and rooms full of enemy fodder. The game gives advice that you can use stealth to get through rooms without conflict, but it's honestly not worth the trouble, because stealth is so clumsily executed in the game that it's better to just act like The Terminator, going in guns blazing, rather than a secret agent. and battled a tank. Wait. What? 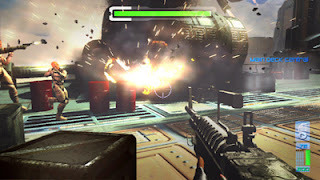 Unfortunately, there are segments in 007 Legends that are critical stealth areas. This basically means that if you raise the alarm, you have to restart from the last checkpoint. These are particularly annoying, as has been stated, the stealth in the game is not up to par. You can't even move fallen bodies, which results in an enemy coming in contact with their dead or unconscious comrade and sounding the alarm. I understand that Eurocom felt the need to add these segments to prevent a sense of ennui from settling in, but they're just frustrating. 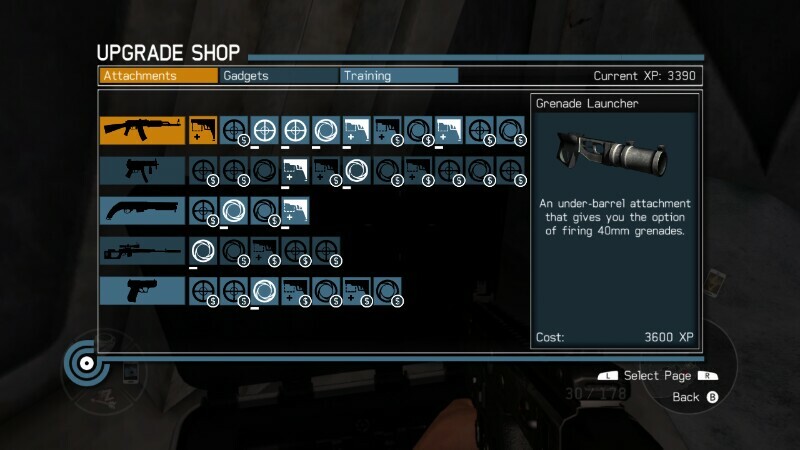 Regardless, 007 Legends still feels like it has a licence for repetition. How many times can we possibly search the main bad guy's office for clues? I swear, 007 Legends has more offices than State Farm. How many times must we enter a QTE-fest Punch-Out!-esque mini-game to topple a boss? And how many times must we deduce passkeys and hack open doors with our phone? If the shooting down foes through room after room does nothing for you, then neither will these aforementioned tasks. There are some mechanics that switch things up, such as skiing down a slope, evading bullets and trees alike, or picking off enemies from a helicopter, but these more creative forms of gameplay are few and far in-between. Swing a fist at James Bond? That was a grave mistake. Each film comes with two or three missions to slog through. 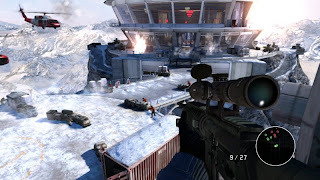 However, completionists can look into collecting intel strewn about the levels, revealing information about the enemy groups, villains and other characters in each movie. 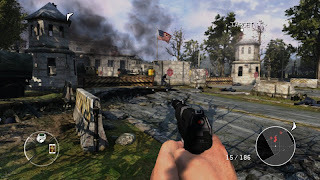 Unfortunately, even here 007 Legends fails, because levels are just way too long. Yes, you can quit mid-level and pick up at the checkpoint where you left off, but if you missed one piece of intel in a given mission, you have to play through that entire level just to collect it. Seeing how most missions take anywhere between a half-hour and an hour to complete, this is a huge inconvenience. One positive contribution to the campaign is the addition of earning experience points for performing tasks and accomplishing challenges. 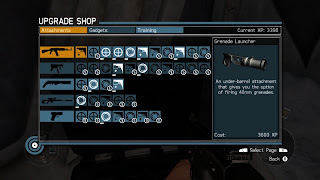 This XP can be used to purchase weapon upgrades for 007's arsenal, gadget upgrades, as well as attribute boosts. Spending XP is completely optional, but it does make the game a bit easier in difficulty. I had the pick of the litter. 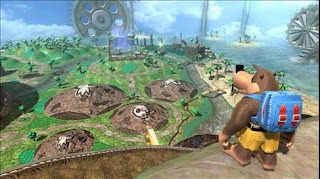 Outside of the solo experience, there is multiplayer for up to 12 players online. The modes are rather inventive, but like the scalp of a current day Sean Connery, the activity online is quite bare. It's next to impossible to set up games in any mode besides Team Conflict. It's a shame, too, because the multiplayer is great fun online. Thankfully, there's local multiplayer available, offering split-screen carnage for up to four players. It's something a lot of first-person shooters nowadays skimp out on, so it's lovely to see it present in 007 Legends. It's an absolute shame that Activision's fourth and final game with the James Bond license is such a travesty. There's little incentive for the player to continue plowing through wave after wave of enemies in a Call of Duty clone-like fashion. The mission structure is too linear to entertain for long (I, personally, would have loved to see missions set up with multiple objectives that could be completed in any order rather than what we have now), the stealth elements are poorly conceived and even more horribly executed, and the presentation just feels less than status quo-- certainly unbecoming of the James Bond name. 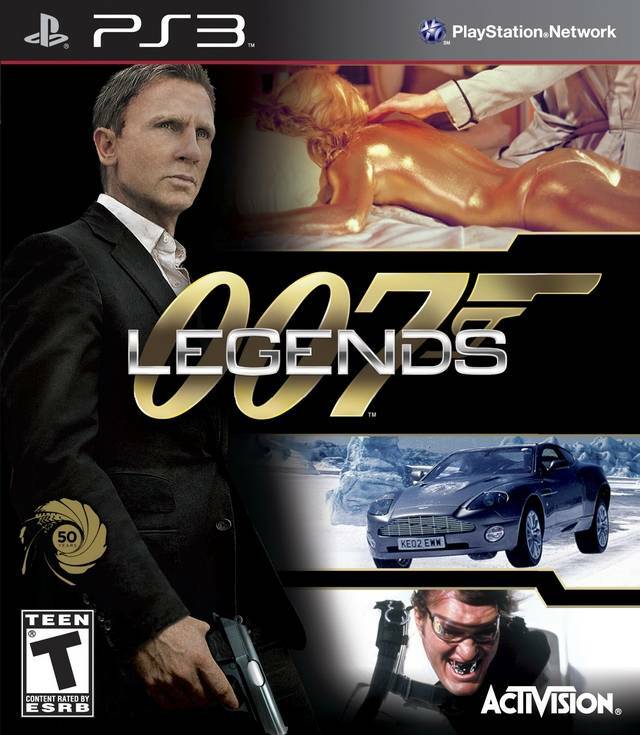 While 007's legendary anniversary went off without a hitch, 007 Legends will leave an awful taste in players' mouths-- one that a martini that is shaken and not stirred won't be strong enough to cover up. 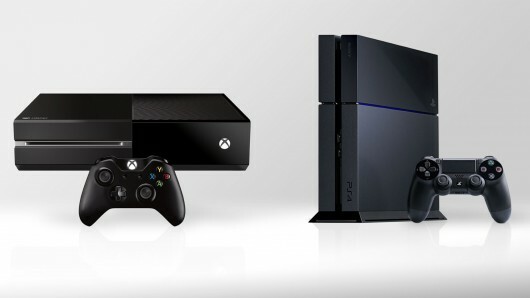 There's an excitement surrounding the PlayStation 4 and Xbox One from many outlets, gamers and consumers. It's for a legitimate reason, too, as this past generation has long worn out its welcome to many, simply because of how lengthy it has been. That said, we're in the camp that aren't absolutely ready to leap into the next generation with Sony and Microsoft's new home consoles, and we've prepared a brief list of reasons why. - Current launch lineups for both systems aren't overly appealing to us. One thing that we don't really care for in the industry is the majority of Western developers churning out shooter after shooter. We've suffered genre fatigue for ages now, and it doesn't look like things will be changing any time soon according to what we've seen of the launch libraries so far of both the PlayStation 4 and the Xbox One. 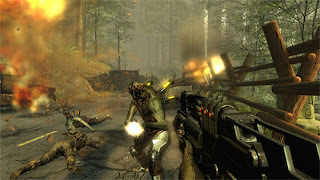 Particularly with the Xbox brand, one reason we stopped enjoying the kinds of titles that came out for the Xbox 360 is because the majority were tailored towards shooter fans, racing fans and Kinect owners. 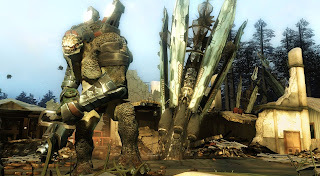 This trio of undesirable types of games turned us off of the Xbox 360 brand despite loving Microsoft and third-parties' output in the early years of the system. With the Xbox One, it really doesn't look like the types of genres being represented the most (or at all) are going to change any time soon. Yes, we dig Killer Instinct and Dead Rising 3, but are they worth $499 plus cash for both games and Xbox Live? We don't think so. It's a similar issue with the PlayStation 4. We have games that interest us for Sony's new system, such as inFamous: Second Son, Knack and The Order, but to us they're not worth the $399 price tag, and again all of the money involved with paying for the games and the ability to play online. As it stands now, the PlayStation 4 is rather cheap in price for what you're getting. However, $399 is still a lot of money in the grand scheme of things, and that's without purchasing an extra game or two, as well as paying for PlayStation Plus. The money that could go towards a new piece of hardware, a game for that new hardware and paying to play online could go towards multiple current generation games, Wii U titles, and Nintendo 3DS and PlayStation Vita software. It's especially expensive when you look at the Xbox One, which will launch sometime this fall or holiday season for $100 more than the PS4. Again, unless you just want the Xbox One to sit in our entertainment systems looking pretty, we'll have to purchase a game to go along with the console, as well as pay our yearly Xbox Live fee just to use applications that aren't behind a paywall else. Case in point, both consoles are too expensive at this point, and the money that would go towards both could be used for current generation titles. While games seem to be getting better and better all the time, the opposite seems to be happening to console hardware. We don't mean that consoles are becoming less powerful; we mean that consoles are becoming less reliable, if this past seventh generation taught us anything. All three major home consoles this past generation died on us-- the PS3 (Yellow Light of Death), the Xbox 360 (the Red Ring of Death) and the Nintendo Wii (which doesn't have an "of Death" to call its own). This is particularly alarming with Nintendo, because we've owned so many of their consoles, and the Wii was the first to break down. 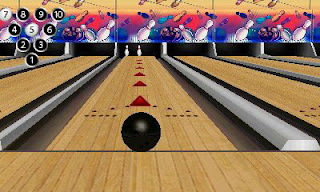 Mind you, we did play the system a lot, as there were many games we enjoyed on the system, contrary to popular belief. 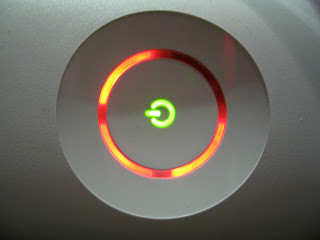 The most egregious of console failures was the Xbox 360's Red Ring of Death. Microsoft's response to their complete incompetence in building reliable hardware was "you know, things break." Well, that's 100% true. Our trust in Microsoft building hardware that will last has been broken as well, so to say that we're going to be in line to purchase a new console, especially Microsoft's, at launch is an absolute lie. The beauty of being a multi-console owner is that you have a vast and expansive library of games to choose from. Our backlogs are already full of entertaining titles that we need to get to, so why do we need to purchase new consoles just to add to our first-world problem of having too many games to play? That's not even talking about the seventh generation games that are still not out. There's titles like Grand Theft Auto V, Saints Row IV, Metal Gear Solid V: The Phantom Pain, Call of Duty: Black Ops II, Batman: Arkham Origins, Battlefield IV, Watch_Dogs, Assassin's Creed IV: Black Flag, Rayman Legends, Splinter Cell: Blacklist, and the list goes on. While it's true that some of these games will be available for the eighth generation as well, we won't be buying a PlayStation 4 or an Xbox One to play those titles. We'd be buying next generation consoles to play next generation games. Sony especially is making it difficult to want to make the leap from the PS3 to the PS4 because they are still releasing some big titles around the holiday season for the PS3. We're referring to games like Puppeteer, Ratchet & Clank: Into the Nexus and Gran Turismo 6. Why upgrade to the PS4 when there's still several captivating games still being released for a console we already own and love? Then there's the issue of backwards compatibility, which both the PlayStation 4 and Xbox One lack in a traditional sense. We can't even play our old games on either console to catch up, so that means making space for not just our new eight generation platforms, but also our old seventh generation consoles to play our current gen games on. Are there any other readers of this article out there that will be waiting it out regarding the PlayStation 4 or Xbox One? Post your reactions and thoughts regarding this article in the comments section below. We're twelve days into August without our first review of the month. 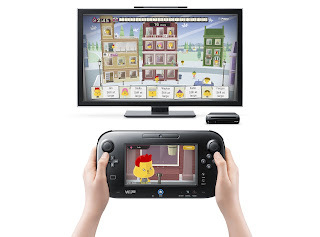 We change that with Game & Wario, a late June release for the Nintendo Wii U. How does this mini-game collection hold up? Here's our review to find that answer out. Wario's Got Game-- And Lots of Them! Wario debuted in 1992 as Mario's fellow plumbing nemesis in Super Mario Land 2: 6 Golden Coins. 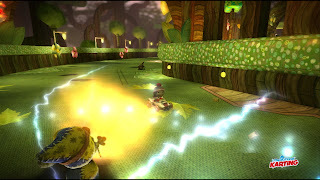 While nowadays Mario has continued to be involved in platforming adventures of both the 2D and 3D varieties, Wario, rather than returning to the genre he was known for, has sat back and made loads of money off of creating his own video games. 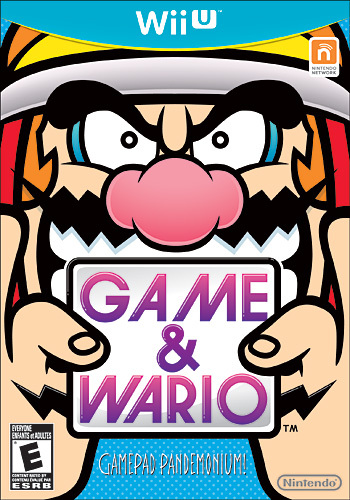 That tradition continues with Game & Wario, a mini-game collection that might seem light on content at first, but as the old adage says, "You shouldn't judge a book by its cover." 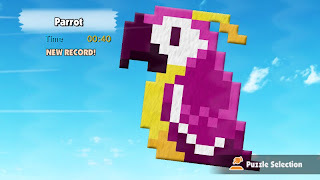 While not a game that is a killer app for the Wii U, it is a worthy party game to look into. After all, Wario's gotta pay those bills somehow! There are sixteen unique activities to try out in Game & Wario, twelve of which are only aimed for a solo experience. The latter four are meant for multiplayer gaming. The two favorites in the multiplayer games are Sketch and Island. 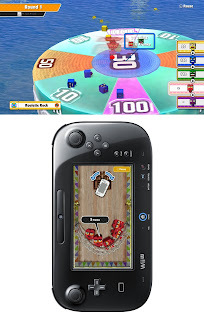 Sketch is basically Game & Wario's version of Pictionary, tasking one player to draw the word that is displayed on the Wii U GamePad, away from the guessers' view. When they have successfully named what the drawer's word is, the drawer hits the correct button and moves onto the next word. If the guesser(s) have a hard time figuring out what the drawer is trying to convey (or if he or she just plain can't draw worth a hill of beans), then the drawer can hit the pass button, though this subtracts twenty seconds out of the two minute time frame. Sketch is just a hilarious party game to play with friends and family, and there are so many words that repeats don't really become a problem for a long while. The other multiplayer game that the SuperPhillip Central crew and their friends and family enjoyed most is Island, where you fling a handful of cubed creatures known as Fronks onto floating targets for points. Not only is skill required to aim correctly to get huge points and to knock off your opponent's Fronks, but luck also plays a factor in the game. There are four different maps to play on, each with their own novelty. Using the Wii U GamePad to have one's finger draw back the slingshot to fire the Fronks at the targets is quite novel, as is moving the controller to arc one's shot. The twelve solo games use the Wii U GamePad in various ways. 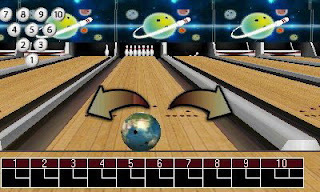 Some use the touch screen, some use the gyro motion controls built inside the GamePad, some require you to look at both the Wii U GamePad and television screens, and some use a combination of the three. Unfortunately, you have to play the mini-games in the solo mode's intended order. 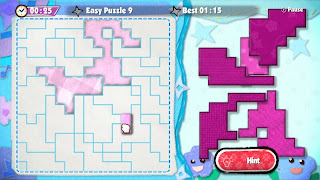 However, all that is required in each mini-game is to clear the first level. Then, you can happily move onto the next game. As you can imagine, this means you can technically "beat" all of the mini-games and see the credits in about an hour's time. That notwithstanding, there are multiple stages to clear in game, and mastering said stages earns you tokens, which can be spent in a gift exchange, offering over 200 unique interactive gifts to collect. As for the games themselves in solo mode, they range from great to poor. I'll talk about the ones that were enjoyable for me to start off. 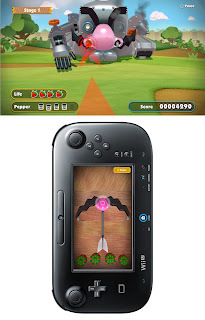 Arrow is the first mini-game available, and it has you holding the Wii U GamePad vertically and using the touch screen to fire shots at moving targets that inch closer closer to you. Taking out multiple enemies with one shot nets the greatest amount of points, a must-have to master the four stages Arrow consists of. 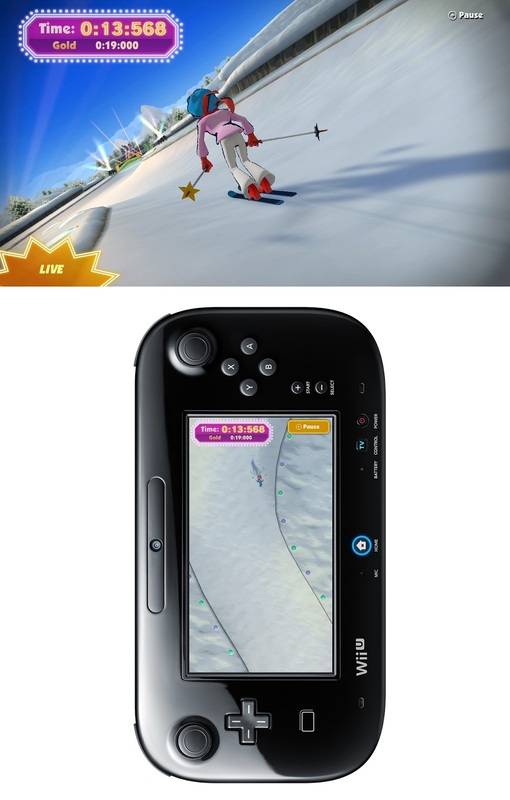 Ski is something that should be very familiar to those who have played Nintendo Land's Captain Falcon's Twister Race. Like Arrow, you hold the GamePad vertically, but this time you tilt the controller to the left and right to move the character safely through the slopes. Although there is eye candy on the television screen, you really don't get a chance to look at it, as your main focus should be the Wii U GamePad screen, which displays the lay of the land ahead of the character. Kung Fu is one of my favorite solo mini-games, as it requires you to alternate your attention between the TV screen and the Wii U GamePad's screen. 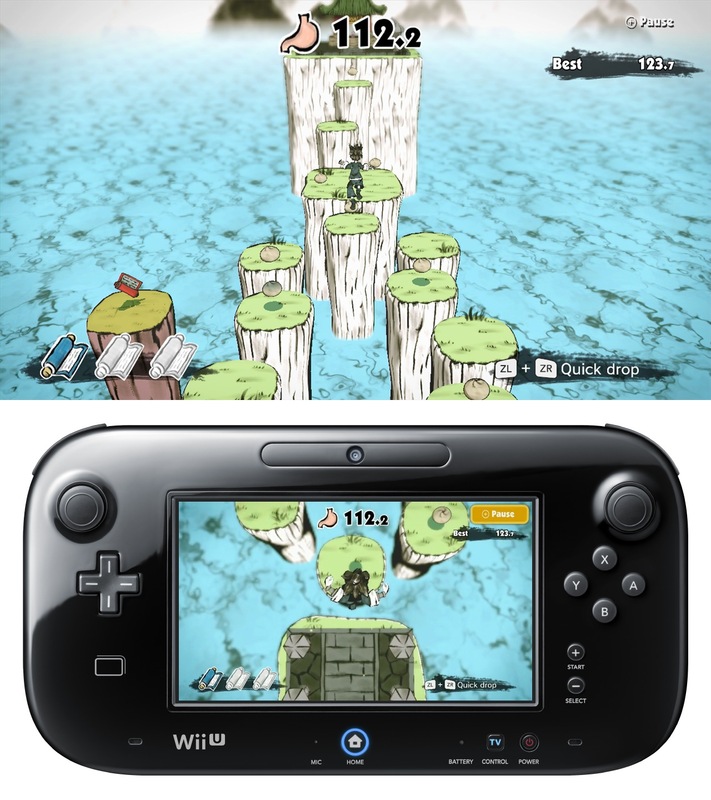 The TV screen shows what's coming ahead while the Wii U GamePad shows an overhead view, perfect for seeing where the aspiring Kung Fu master is about to land (or in many cases, fall). 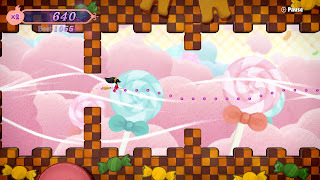 Your character is constantly making large leaps into the air, and by shifting the GamePad forward, you can move him from platform to platform, all the while collecting dumplings and scrolls to boost the remaining time. There are five stages in Kung Fu, and the game has some of the most impressive visuals, reminding me heavily of Okami. Gamer is also one of my favorite solo mini-games. It stars 9-Volt, a boy who just can't get enough video games. He plays them during the day, and he even plays them at night when he's supposed to be sleeping. Gamer focuses on playing micro-games on the Wii U GamePad, like the ones seen in the WarioWare series, while keeping a close eye on the television screen to hit the button to slide underneath the covers and pretend to be asleep when 9-Volt's mom peeks in. The harder difficulties add different ways that his mom can enter the room unannounced, such as popping her head out of 9-Volt's TV. Truly scary stuff! 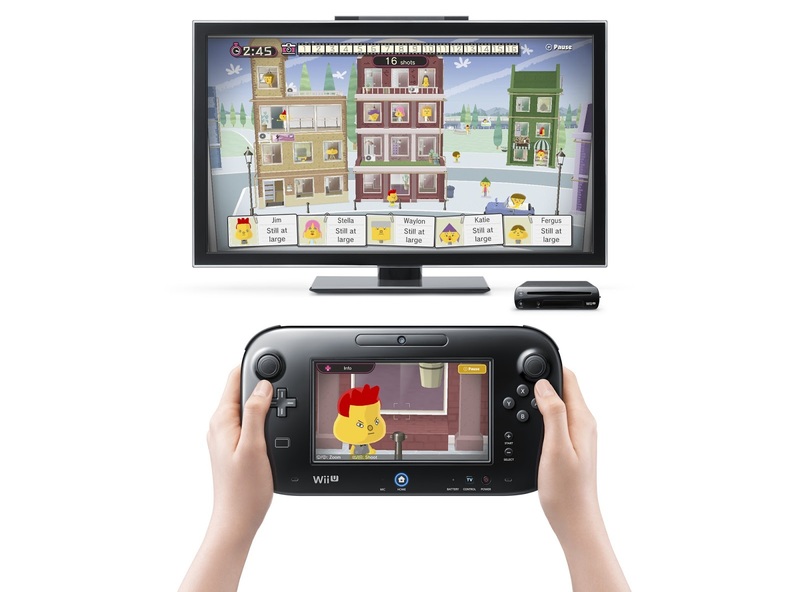 Taxi is the third mini-game requiring your attention to both the Wii U GamePad and television screens. The TV screen will show an overview of the map, while the GamePad screen shows a first-person view. The goal here is to pick up fares and drop them off at a marked destination. Meanwhile, you need to shoot down UFOs that arrive all over the map to boost your score. It gets pretty crazy, but the controls (including the gyro motion of the GamePad) work well, offering an experience that isn't as frustrating or confusing as it might sound. 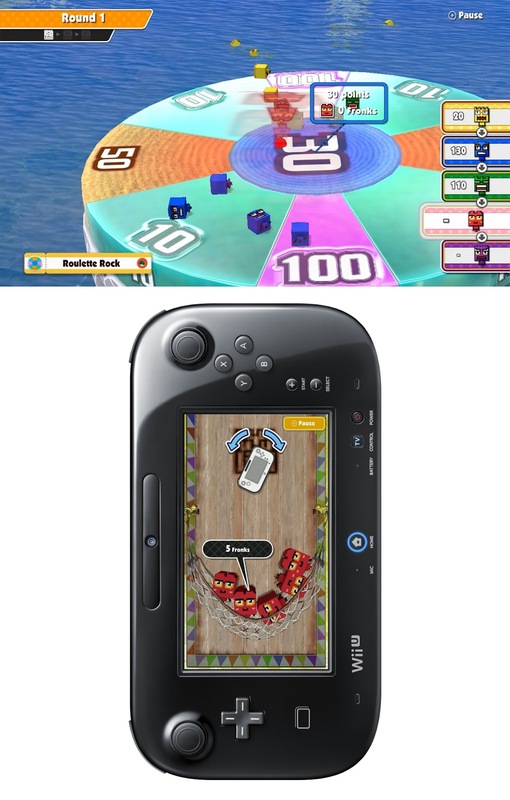 Unlike many of the other mini-games in Game & Wario, Patchwork and Design are the types of game that really don't use the Wii U GamePad in an innovative way. They could be done on the DS or any other touch screen-possessing device. That said, they're still rather fun, especially Patchwork. It's a collection of 90 or so puzzles that have you piecing together differently-shaped patches on top of a grid. The end result will make some type of object, similar to how a Picross puzzle starts out as an unexceptional grid and ends with a picture of a well-known object. The medium difficulty adds in multiple places for certain patches to fit on the grid. However, it is possible to put a patch in the wrong place, making it impossible to complete the puzzle without changing its position. Design is the other game that could be done on another platform. It measures how well you follow instructions and estimations of distance. For instance, one trial will ask you to draw a triangle with 3 inch sides. The closer you are to making that perfect triangle, the more points you receive. As you proceed with Design, the instructions and tasks get more difficult, such as drawing a squiggly 12 inch line. Now for the games that don't work as well or just aren't that much fun. Shutter is part of the latter group, and has you holding the Wii U GamePad in front of you like a camera, zooming in on "targets" and trying to take photos of their faces. 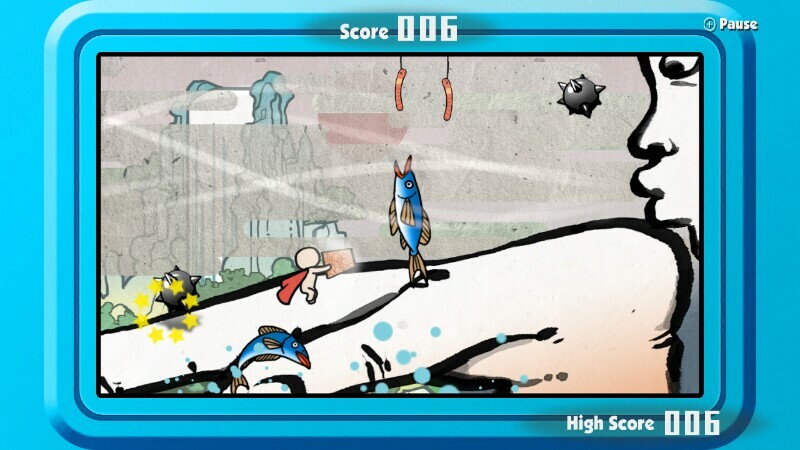 The catch is that there are many non-targets, and you have to frame each target perfectly to earn the most points. The annoyance with Shutter is that you have to move the GamePad forward and downward to "give" your photo your boss. This means you have to get your bearings all over again and move the camera back to its original position. Ashley is what I would call a throwaway game. It's essentially a shoot-em-up that automatically shoots for you. Where's the fun in that? This is all while you tilt the Wii U GamePad at different angles to change Ashley's direction. 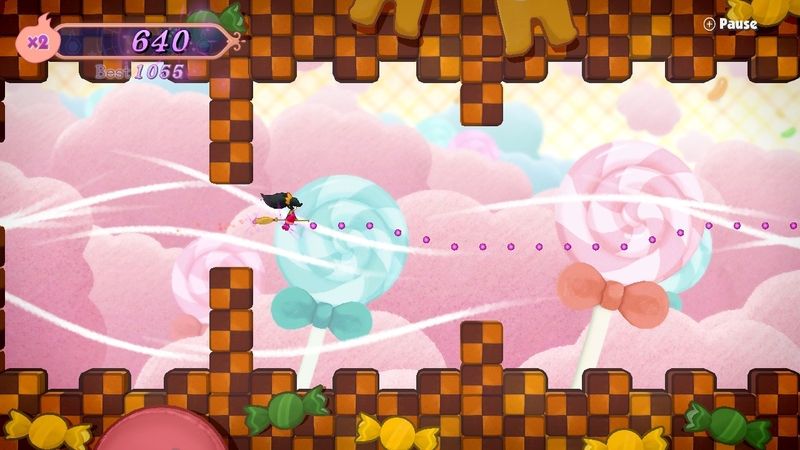 Along the way, Ashley defeats enemies that drop magic (basically points) to collect. The best thing I can say about this boring mini-game is that it's only three stages long. Pirates is Wario's themed game, and it is just a mess. It requires you to block arrows from multiple sides and in multiple directions. The issue here is that the calibration of the Wii U GamePad gets thrown off easily, meaning you have to pause and fix it mid-game, and even then there are no guarantees you'll be good to go. Pirates is easily the worst mini-game in Game & Wario, but thankfully it's simple enough to clear the first time. Game & Wario isn't a title that will make Wii U owners rush to stores to buy copies of. It has a niche on the system, however, for Wii U owners who would like to see more intuitive and creative uses out of the Wii U GamePad controller. There's some depth in some mini-games that isn't readily apparent at first glance. That said, it's easier to make the case that Game & Wario should have been a pack-in title for the Wii U instead of a separate retail release, even at its budget price of $39.99 MSRP. 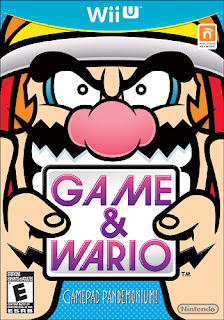 Regardless, the majority of the mini-games are winners, and if Nintendo Land isn't enough for your pick-up-and-play parties, then Game & Wario should fill that hole quite nicely.